Join us for a (free!) 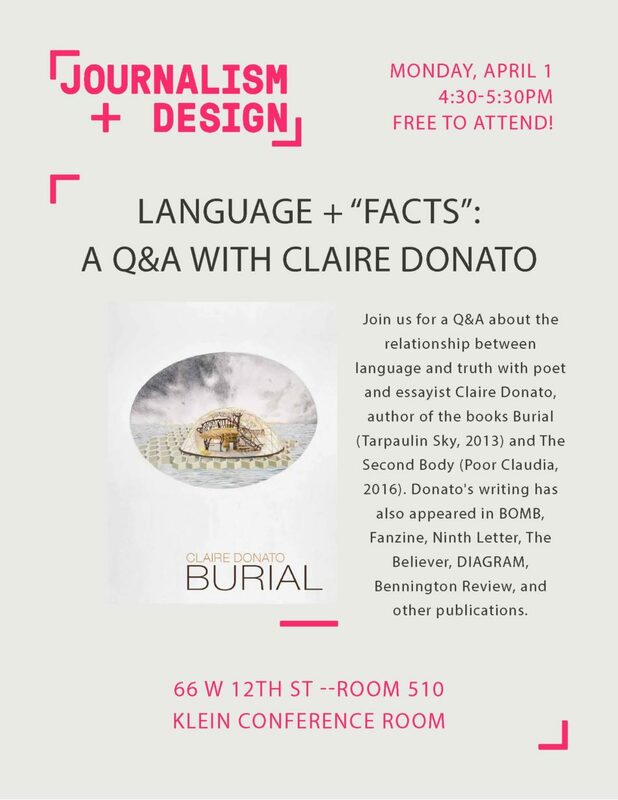 Q&A about the relationship between language and truth with poet and essayist Claire Donato, author of the books Burial (Taupaulin Sky, 2013) and The Second Body (Poor Claudia, 2016). Donato’s writing has also appeared in BOMB, Fanzine, Ninth Letter, The Believer, DIAGRAM, Bennington Review, and other publications.